I use the word artist loosely since I do not really have an artistic bone in my body. But I do like to be creative in an unartistic sort of way. I made these for Halloween this year. They are supposed to be jack-o-lantern brownies. 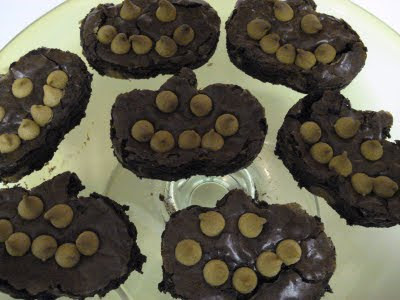 I mean, they are actually brownies:) It's the jack-o-lantern part I'm not so sure is clear.